There is nothing greater than having a water heater functioning all through. But sadly, one thing is inevitable; they finally break down. However durable the brand is, it is only designed to last for a couple of years after which you will need a replacement. Some people replace it as soon as it completes its lifespan period regardless of its condition. Others wait until it knocks off then they call in the repair guys. Our company works tirelessly to make sure that our clients don't go a single day without hot water. We have a capable team with a unique expertise to make sure that all your water heater needs are met with absolute efficiency. Our hotlines are always open for any inquiries you would want to make. Our happiness is to see clients fully satisfied with our services. Call us today and get your water heater replaced as soon as possible. There are a couple of signs that will show you if your water heater needs replacement. Some are just visible while others need a little bit of concentration. If you notice anything close to what will be mentioned below, then don't hesitate to contact us and we will be there with everything needed to replace your water heater. Some of the common signs include. You should be observant to make sure that your water is always clear and clean if you notice any rust and you are not sure if it's your heater going bad or just some regular dirt then you will need to perform a simple test. Find two containers, fill one with hot water and the other with cold water. If the container with hot water is the only one with rust in it, then you should consider replacing your heater before it starts leaking. Give us a call, and in no time you will have a new fully functional water heater. Just like humans, water heaters do age and when they do they eventually stop functioning. Take a look at your water heaters lifespan and counter check it with the day you bought it. You can Log into the manufacturer's website to check its lifespan. If the difference between now and when you bought it is more than the lifespan then you need to give us a call and let us help you replace it. We often encourager this than to wait until it finally breaks down before you can ask for a replacement. Our team is forefront on the go and ready to answer your call so don't hesitate. There is a specific type of noise your water heater usually makes, by now you should have noticed if at all you've been keen. If it makes any other noise rather than that, then you need a replacement. The noise shows that your water heater is having a problem. You should not wait for the noise to persist so that you can give us a call, we can save you the problems of listening to any more of that. A water heater should be able to produce hot water throughout without any problems. Once it starts switching hot and cold water from time to time, then know you need a replacement. With all the basic equipment needed and the expertise at hand, we can easily make the replacement in no time. Our water heater replacement experts have the skills required to get the job done effectively. Most of our replacement often involves leaking water heaters. This is likely to be one of the most common problems that push people to order for a replacement. This can be very disastrous if at all your heater is situated in a place that doesn't need water. Water leaks can also damage your floor and walls alike. So it's very wise that you get your water heater replaced before it starts leaking. 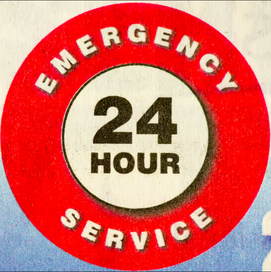 This way you can save yourself from other maintenance costs. We are specialized in carrying out any sorts of water heater replacements needed regardless of the brand, size or type. We are quick to diagnose the problem and come up with the appropriate solution. We also offer advice on what water heater best suits your home. We will carry out analysis and help you determine if you need a gas, electric or a tank water heater. We have skilled individuals with tons of experience who always get the job done without any problems. Each of our team members has undergone the required training needed to equip him/her with the intense knowledge of water heater replacement. Our company is built on trust, honesty, and integrity. This means that we don't take more than what we should or misdiagnose the problem with an intention of overcharging you. We will give you the best services and charge you fairly whether its day or night. We keep a standard rate all through so don't fear to make a call in the middle of the night. Our water heater replacement charges are by far the best in Langley. We are committed to providing the best water heater installation services to all our clients. Our objective is to make sure every client is completely satisfied with the services accorded to him/her. Our professional Courteous and uniformed plumbers know exactly what to do and how to do it. Give us a call and experience our unique services first hand. 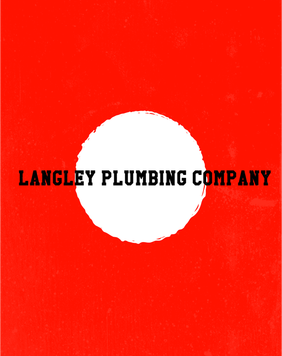 At Langley Company our job is to show up when needed, get your water heater replaced, test it for any adjustments then be on our way leaving you enjoying the hot water. Our customer services are perfect and always available to tend to our clients needs whatever the time. We are disciplined in our dealings; our experts are strictly instructed to employ work ethics whenever they are on duty. With us, all your water heater problems will be solved and done with before you even know it.